Glazed Strawberry Cream Cheese Danish Recipe! 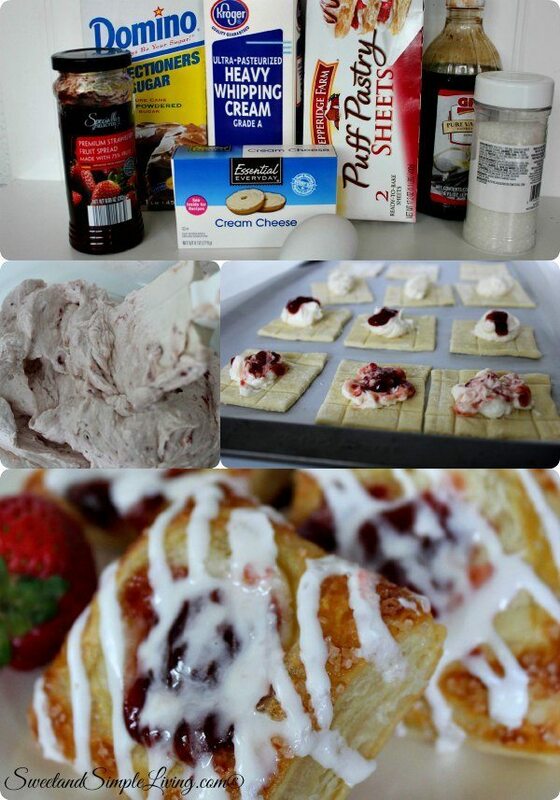 Check out our Glazed Strawberry Cream Cheese Danish recipe! 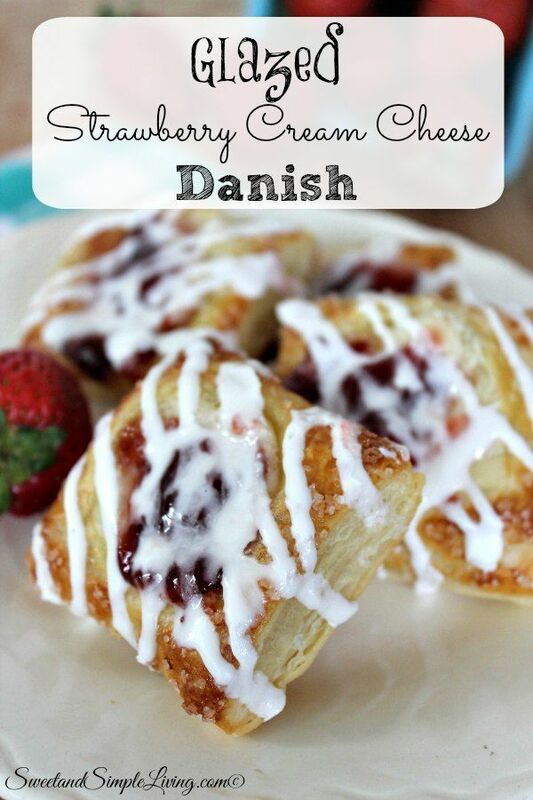 I know you would usually have a danish for breakfast, but these are so yummy and delicious, I also listed it as a dessert. One side of my family has a deep rooted Czech background and they make treats like these and MANY more all of the time, FROM SCRATCH! Unfortunately, I didn’t get that high skill level so I have always just figured I would not be able to make things like danishes and kolaches (the real kind, with fruit). 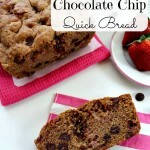 With this easy recipe, that takes you step by step, pretty much anyone can pull this off! Allow the sheet of frozen puff pastry sheet to sit and thaw for 15 minutes. 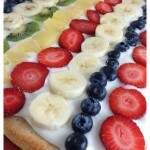 Preheat oven to 400 degrees Fahrenheit and lay out a baking sheet lined with parchment or wax paper. Cut the puff pastry into 16 rectangles. In a small bowl, make an egg wash by mixing the egg with 1 tablespoon of water and brush the edges of each pastry. Stir together the powdered sugar with 1 tablespoon of water and vanilla. Once this Glazed Strawberry Cream Cheese Danish recipe is all broken down, it doesn’t seem that hard. Don’t you agree? I know I’ve mentioned this before, but whenever I’m baking I love to use these mats! They make everything turn out perfectly! 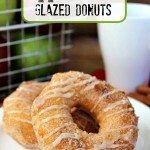 We are adding new recipes every day and you can browse through all of them HERE!